We are lucky to have been receiving emails over the past two days from Suresh in Nepal. The WNC project is east of Kathmandhu, in the province of Ramechhap. Included here are descriptions, in Suresh’s own words, about the devastation in the province and his country. Thankfully, both he and his family are safe! 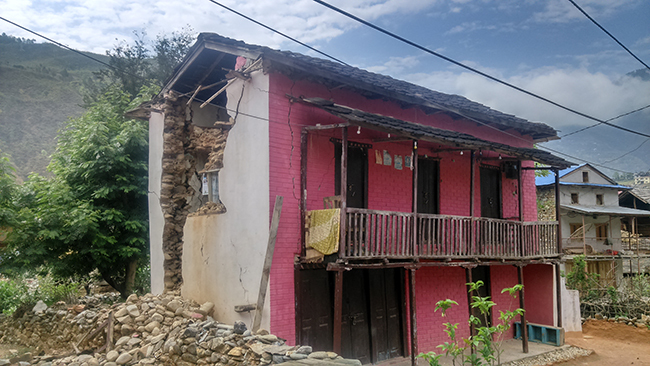 Due to devastating earthquake, over 75% houses have been damaged in Ramechhap. These houses, most of built by mud & stone, are no more suitable to live. The families have been displaced and they are staying in plastic temporary tent. Almost all these families belong to poor and backward. We don’t know whether our government will have enough relief funds for reconstruction and/or renovation of the damaged houses. The previous big earthquake had occurred in 1989. The then government had provided 50 kg. of rice & Rs. 1,000 for the victim households. In addition, the government had provided Rs. 10,000-20,000 no-interest loans in villages and up to Rs. 100,000 in old Ramechhap district headquarters. 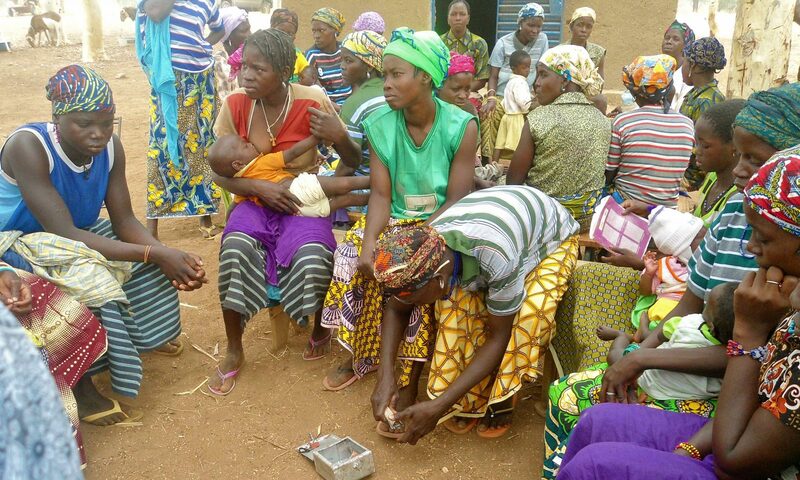 There has been now drastic growth of population and households. The damaged percentage is also high accordingly. This time there is need of more relief fund for the victims. The exact data is yet to collect from all the villages. I have attached few photos of Gadwari community of Manthali, which is about 1 km from TSS area. 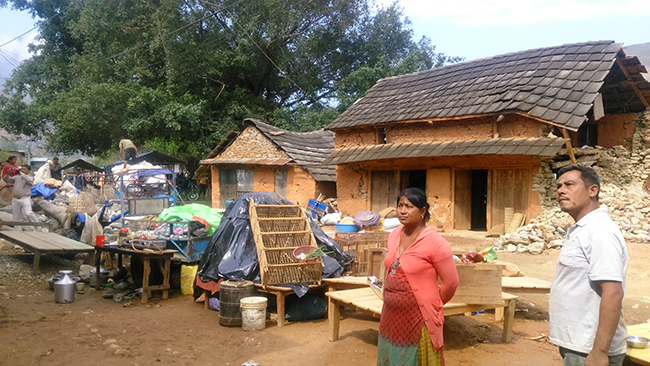 In this community alone about 90% households have been badly damaged. These kinds of damages can be seen in many villages of Ramechhap. It is expected that over 75% households have been damaged due to two-day earthquake. The government staffs are denying to visit villages to collect statistic for few days due to panic of earthquake. Apr. 26, 9:12 PM – I have attached the update new of devastating earthquake. I will collect the photo and send you later. 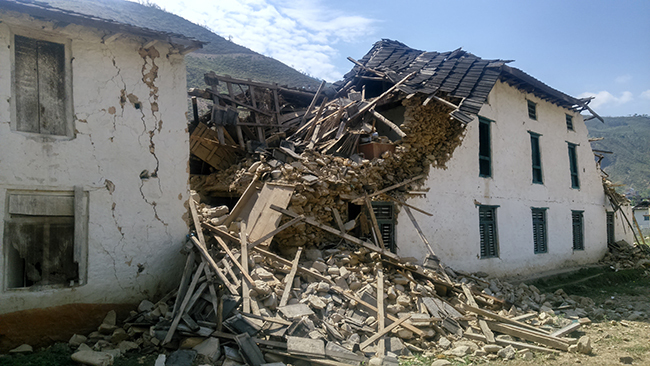 The reported death in Ramechhap is 89, the casualty is high in mainly old mud houses. There is no major casualty in Manthali for RCC houses. I will keep you informed the update. Thanks. April 25 7:34PM – There has been huge destruction. In Ramechhap the reported death toll is 20 till now, there has huge damages of houses in villages.There is no electricity here for the last 2 days in Ramechhap. Please share this as I am sending by mobile. All the people are staying in open compound in Kathmandu and Ramechhap. The time is now 9:34 PM. Every 30 minutes we having stroke. It is said there will be big stroke in midnight 12:00.Thanks. Apr. 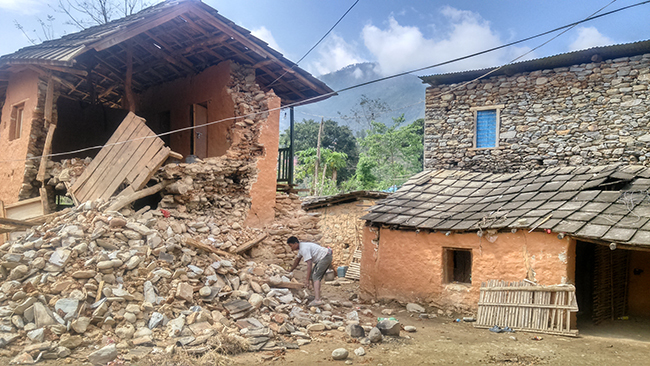 25, 1:57 AM – There has been 7.5 rester (magnitude) earthquake in Nepal. This is very big after many years. 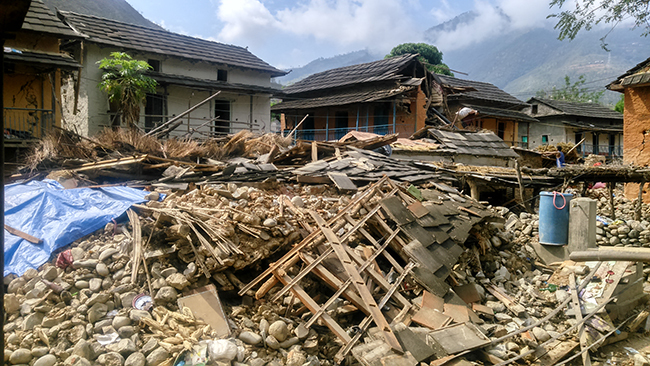 There has been great damage of houses and death of people including in Ramechhap and Kathmandu. I am now in Ramechhap. Dharahara the tower in Kathmandu also badly collapsed.